I’m glad to say that we seem to be building our audience (thanks to you all) and we can book into 2016 with some confidence. 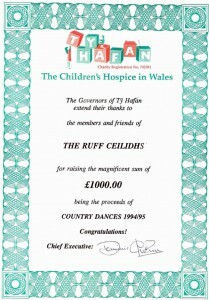 Some of you that remember the Ruff Ceilidhs from years ago – they started over 30 years past – will remember a time when you had to book in advance to be sure to get in! I still look forward to seeing that happen now. 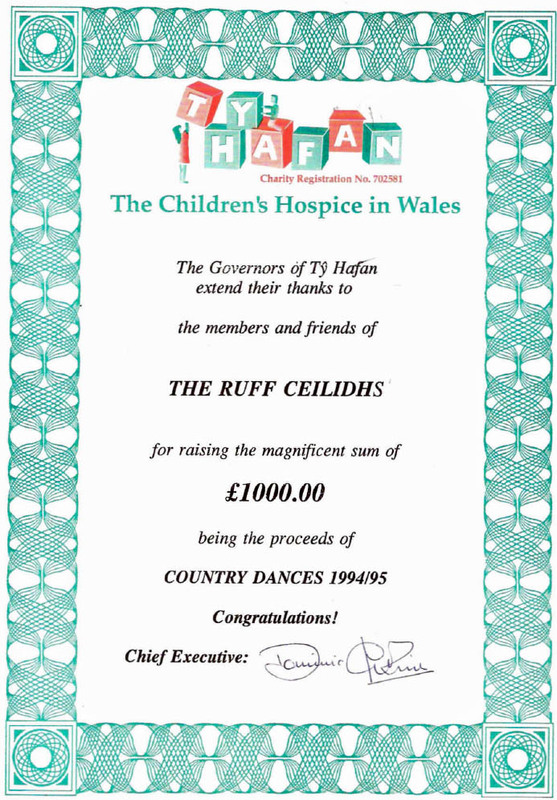 Back in 1995 the result of these crowded and joyous events was that the Ruff were able to make a donation of £1000 to the Ty Hafan Childrens’ Hospice. Does anyone have any photos from back then?